← Are you an avid reader, like I am? Fred Hahn on Dr. Robert Su’s Podcast! Breaking news! On October 5th’s Carbohydrates Can Kill blog, Dr. Robert Su interviews my real-life friend Fred Hahn. Fred is the author, with Drs. Mike and Mary Ann Eades, of The Slow Burn Fitness Revolution: The Slow Motion Exercise That Will Change Your Body in 30 Minutes a Week . This particular podcast, entitled Fred Hahn on Strength Training for Seniors, can be heard here. Fred is an expert in physical training. He has a great deal of experience in helping people – including and especially seniors – reshape their bodies, reduce their blood glucose, and generally improve their health and fitness. I met Fred on last year’s Fourth Annual Low Carb Cruise, where he demonstrated (and let me experience) his Slow Burn method to me and my husband. Fred – the trainer we baby boomers need! I was so impressed with Fred and his patient demeanor. He’s not one of those standard-issue “musclehead” exercise trainers (Fred is no Arnold…and that’s a compliment!) He uses real science to get real results, in a way you can respect, and more importantly, understand. Having experienced the Slow Burn method, let me be the first to say: just because it’s slow, that doesn’t mean it’s easy. In fact, believe me when I tell you: it’s HARD. I remember clearly when Fred told me, in essence, that it was necessary to put forth the biggest effort in order to get results, and that’s true. I guess it’s a good thing it doesn’t last long, because, when done correctly, it’s fast, but hard. Enjoy listening to Fred! He knows what he is talking about. I can hardly wait to see him again on the Fifth Annual Low Carb Cruise (topic to be covered soon). 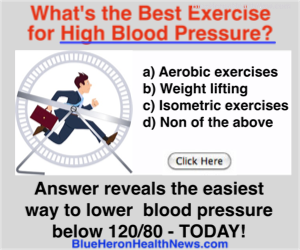 This entry was posted in Exercise, Links, Low Carb and tagged blood glucose, cruise, Dr. Robert Su, exercise, fitness, Fred Hahn, health, Low Carb Cruise, musclehead, physical training, results, science, seniors, Slow Burn, strength training. Bookmark the permalink. I love that you are discussing fitness issues for boomers. I was asking questions on a message board about this last night. I think one of my top goals has become making sure I stay healthy! Be sure to stay tuned, Mary, because I have a LOT to say about fitness and health. Did you see my blogpost about Dana Carpender’s Low Carb Cookbooks? I believe it was the first blogpost I wrote!